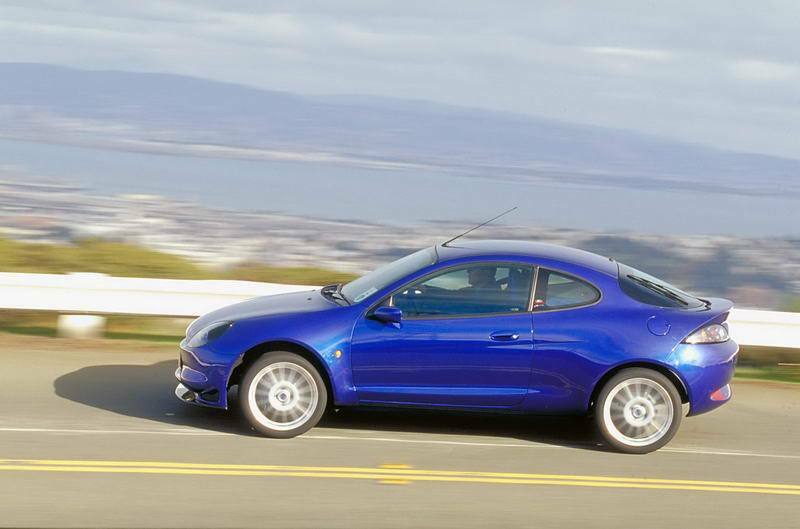 If you're after fun motoring on a tight budget the Ford Puma coupe could be just the thing. Ford introduced its two-door Puma to the public way back in 1997, the sharply-styled front-wheel drive coupé winning praise from many due to its enjoyable driving characteristics. Good looking and fine value when new, that's not diminished with its passing into the used market. If you're after fun motoring on a tight budget the Puma could be just the thing. The Puma filled a hole in the Ford range that was there since the Capri's demise. It might not have had the hairy-chested appeal of the Capri, but the Puma excited with superb handling balance and fine performance. Engine choices included 1.4- and 1.6-litre petrol engines, with a 1.7-litre unit also offered. Ford produced a small number of Racing Pumas, which gained an even higher output version of that 1.7-litre engine. Even the Racing Puma's 155hp looks modest today, though it's enough to get it to 100km/h in 7.9 seconds. They're very rare - and expensive as a result. The standard 125hp 1.7-litre car isn't hugely rapid by modern standards, taking 9.2 seconds to reach 100km/h, while the 1.4 and 1.6 engines manage 10.8- and 10.1 seconds respectively thanks to their 91- and 104hp outputs. So none but that rare Racing model was hugely fast, but that's not to say they're not hugely entertaining, with fine handling, precise steering that's full of feel and a good ride. The interior very much follows Ford's design ideas of the era, being similar to that of the Ka and Focus. It's based on the proven Fiesta underpinnings, so running costs should be sensible, though being a coupé the rear seats are tight and access to the boot is a touch tricky - thanks to the high lip. Practicalities be damned though, the Puma's all about fun, and it offers plenty of it. If you can stretch to a Racing Puma, and can find one, buy it and enjoy it. However, we're realistic here, so go for the 1.6-litre car and enjoy its handling rather than its outright performance. Cheap, grin inducing fun, the Puma might not be in its first flourish of youth, but it'll still entertain like little else. It's not so fast to have you worrying about your licence, either. Buy one before they all disappear.